Rice is part of many different cuisines around the world; Chinese people have been eating rice for thousands of years and rice plays an important role in Chinese culture. But it is not just the act of serving rice that is a tradition in many societies—it is also how it is prepared, ensuring that the rice is not mushy, sticky, or watery. 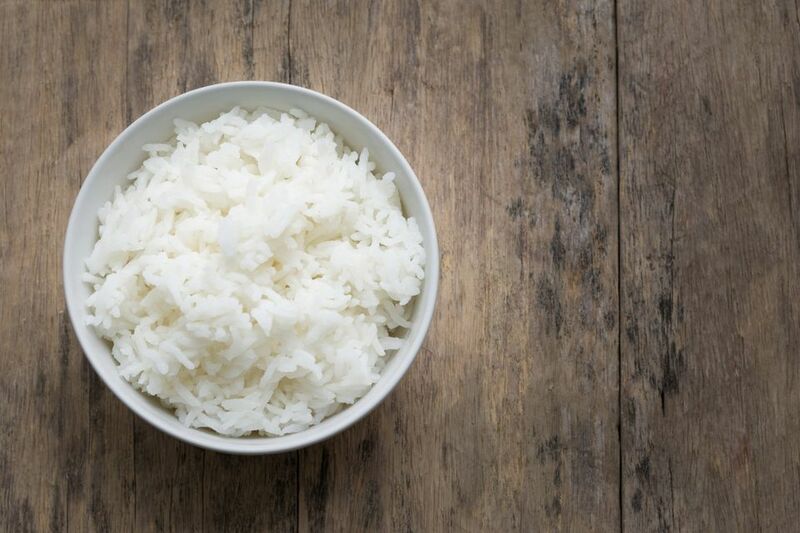 To make the perfect rice, you will need long-grain rice, water, and a pot with a lid. It is also handy to have a colander and bowl for rinsing the rice. This recipe does not include any seasoning, like salt, but feel free to add a bit (maybe 1/4 teaspoon per 1 cup of rice) when combining the rice and water. Rinsing rice helps get rid of any starch and impurities. Place the rice in a colander and set in a bowl. Rinse until the water in the bowl is clear and not cloudy. Usually, you will need to repeat this procedure 3 to 4 times. For every 1 cup of long grain rice, add 1 1/2 cups of water. You may want to cook long grain rice with a little more water than would be required for short grain rice. You can adjust the amount of water used depending on whether you like your rice more al dente or a little softer to the bite. If you like your rice a little al dente, use a little less water; if you like it soft, cook with more water. Stir once to separate any clumps of rice and bring the water and rice to a boil, uncovered, over medium heat. Do not stir again or you may risk making the rice sticky. Once the water is boiling, turn the heat down to medium-low. Place the lid on the pot, tilting it to allow steam to escape. Cook for about 18 minutes, checking often to make sure the water has not evaporated and your rice isn't burning. Once the rice has been simmering for nearly the full cooking time, lift the lid to look for holes or “craters.” If you see them, it means the rice is ready to be removed from the heat. Put the lid on tight and take the pot off of the stove. Let the rice sit, covered, for 10 minutes to allow the rice to steam. Remove the lid and using a fork, fluff the rice until the grains are separated from each other. Serve as is, flavor with butter, oil, vinegar, or other seasonings, or incorporate into a recipe.